Tangora Trio is going to a movie! 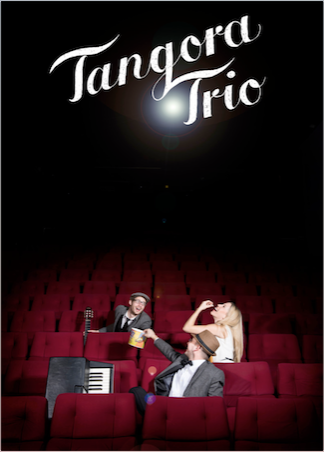 Director’s cut is the name of Tangora Trio’s new show. Its aim is to breathe new life into this music that we hear and forget to listen to. With the typical audacity and subtlety that characterize their work, the three musicians intend to shed light on the composers of musical themes at the core of great movies from Chaplin to Fellini or from The Godfather to The Tall Blond with one Black Shoe. The project Director’s cut is made of fresh arrangements that are associated with a unique scenography made of video cuts and sound. The tour in the movies theatres of the French-speaking part of Switzerland has begun in May 2015. Tangora Trio on Youtube !